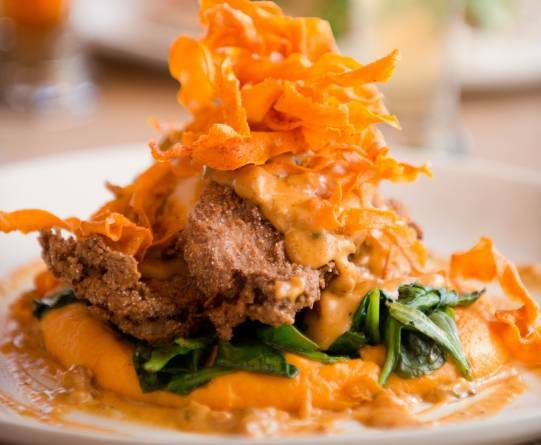 Pair with the Blue Corn Fried Chicken recipe in the A New Harvest Season article in the April 2016 issue. Bring milk and cream to a boil. Add sweet potatoes, return to boil, then lower to a simmer. Cook for one hour or until potatoes are soft. Strain mixture, discard any excess cream. Salt potatoes and purée in a blender or food processor until creamy.